Various studies estimate how long it takes for health research to go from the lab out into the world where it can do some good, with findings ranging anywhere from 10 to 17 years. 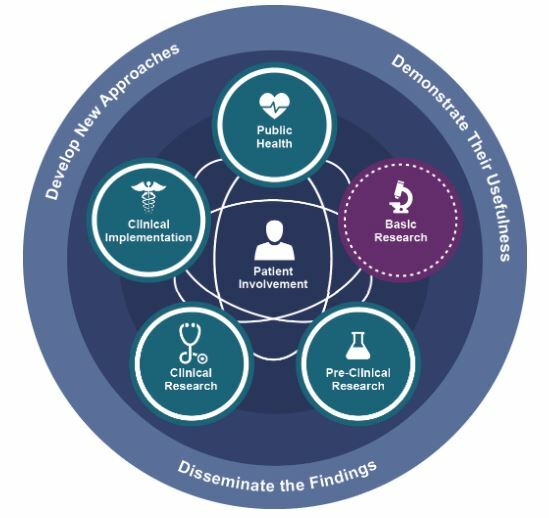 To increase understanding of and competence in this form of scientific discovery, the College of Health Solutions is launching a Dissemination and Implementation (D&I) Affinity Network to help those interested in getting better at forming connections, sharing information and implementing research in this faster-paced translational science environment. This effort launches Jan. 25 with a D&I Affinity Network Kickoff, a half-day seminar for any university faculty or staff member who wants to learn about D&I methodology and how to apply it to their various research and academic areas. “This training is for scientists at every phase of the translational spectrum — from bench science to policy analysis — who need to improve and speed the dissemination and implementation of new knowledge so that it can be used to benefit population health as soon as possible,” said Scott Leischow, professor and director of translational science at the College of Health Solutions. Leischow and the other leaders of the D&I Affinity Network — Rodger Kessler, research professor and director of dissemination and implementation, and Matt Buman, associate professor, both of the College of Health Solutions — secured a grant from the Arizona Biomedical Research Centre to implement a yearlong training program on dissemination and implementation methodology. Part of the grant will fund four nationally recognized experts in D&I methods, two this spring and two in the fall, to speak on D&I strategies and increase understanding about how this method can accelerate the pace at which research is implemented. “We want to create a pool of knowledge about D&I and increase the use of D&I methodology to help speed innovation in many areas of health to have a greater impact on our Arizona communities,” Leischow said. Flexibility is key to the dissemination and implementation process and the affinity network structure, agreed Deborah Williams, clinical assistant professor and manager of the College of Health Solutions Translational Team initiative. Affinity networks also depend on the relationships that happen when scientists collaborate. This more nimble affinity network system will make it easier to work with community partners as well. Learn more about the Dissemination and Implementation Affinity Network and how to join the kickoff seminar on Jan. 25.